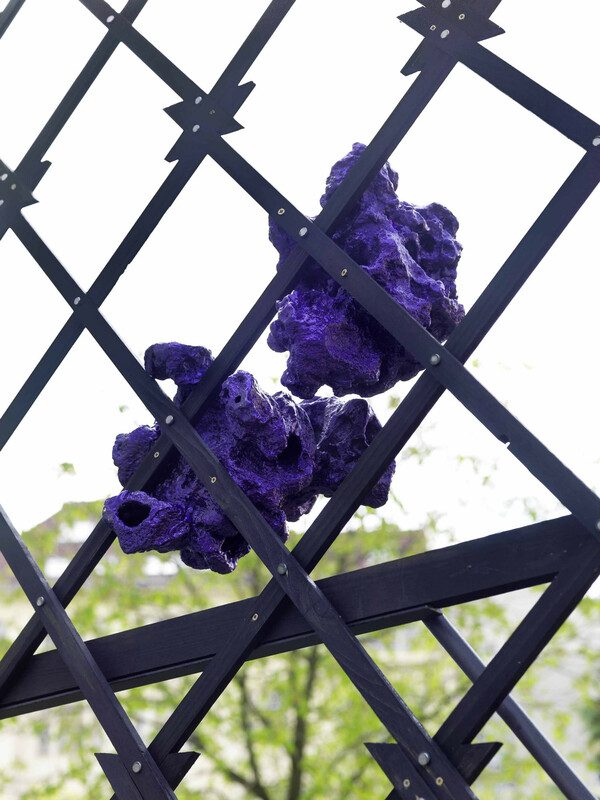 For the third edition of our backyardoutdoorsculptureseries Henning Bohl uses the outer space of the gallery as a sculpture park. Surrounded by a playground, a parking lot and encircled by fences Bohl exhibits three sculptures that adopt elements from this surrounding situation. Several wooden folding trellis painted in dark green are assembled with each other to form a big arbour mounted onto a wooden frame. By a form of metal prosthesis the lattice is connected with two metal skis. This notion of mobility is only suggested since the metal skids provide a stable base for the sculpture. 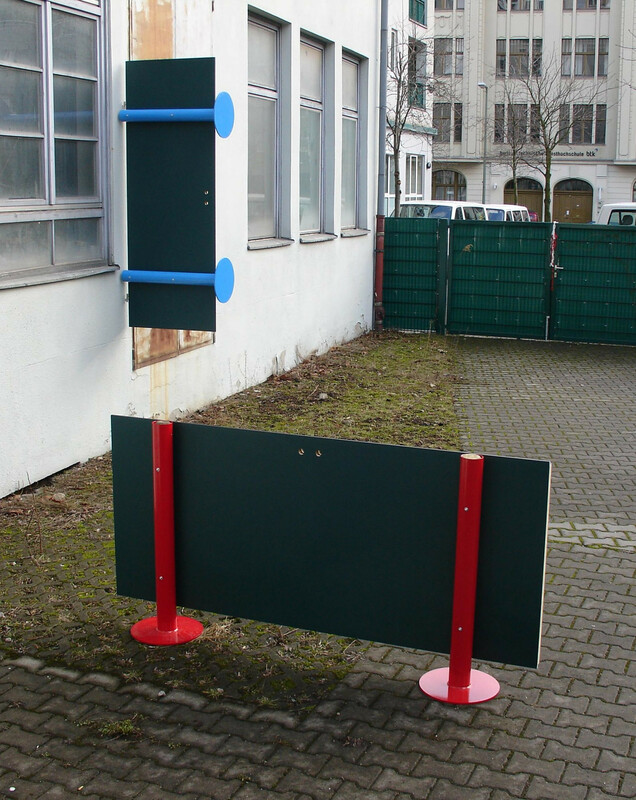 The remaining two sculptures are characterized by this ambiguous functionality as well. Two door leafs coated with blackboard paint and fitted with elaborate fasteners are converted into barriers; one is placed on the ground; while the other in turn - stripped of this newly gained function – is fixed as a door onto an outer wall.